1.From I-495 Capital Beltway take exit 28B MD-650 New Hampshire Avenue south towards Takoma Park and travel 0.3 miles. 2.Turn left onto Adelphi Road and travel 2 miles. 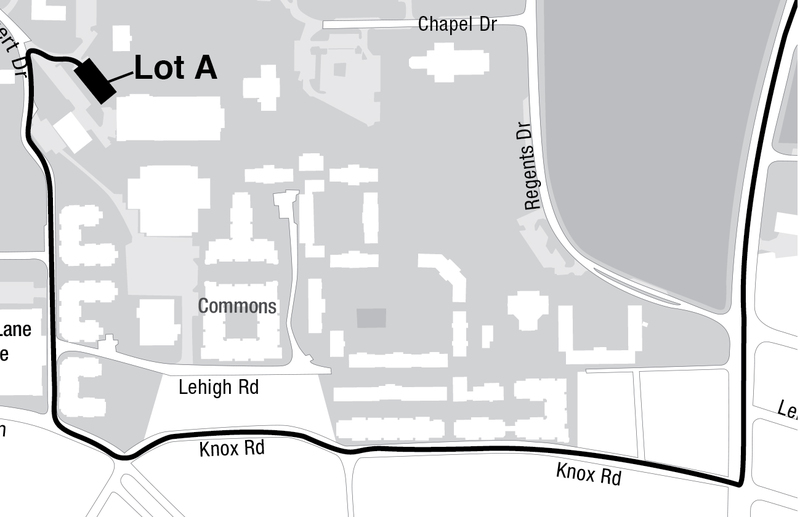 3.Continue straight across University Boulevard to enter campus on Campus Drive by the UMUC/Marriott. 4.Drive straight for 0.4 miles on Campus Drive until you can turn right at the traffic circle. 5.Drive along Mowatt Lane for 0.3 miles until you can turn left on Preinkert Drive. 6.Lot A will be on your right after 0.2 miles.